Scott discusses his unique search for God and some personal thoughts on faith as a daily practice and as a guide for how we should treat and include others. Episode 2 is Jay Wilburn interviewing an undisclosed Christian missionary about her personal faith journey and her work around the world. 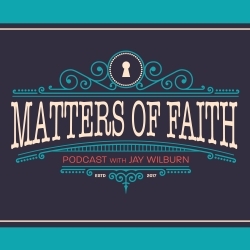 Episode 1 is Jay Wilburn explaining what brought him to Project Entertainment Network with a show on the subject of faith and what his goals are for the show going forward.